Does anyone locally have one of these http://minisport.com.au/morris-mini-out ... stastopper ? Mine has deteriorated and cracked. If you can't find one locally Mini Kingdom has them too, cheaper and look to be better quality too going by the photo on their website. Funnily enough I have a few copies of drawings my Dad (Don Boye) did when he worked at BMC Aust. as a Body Hardware Engineer and the original engineering drawing for this particular part is one of them! 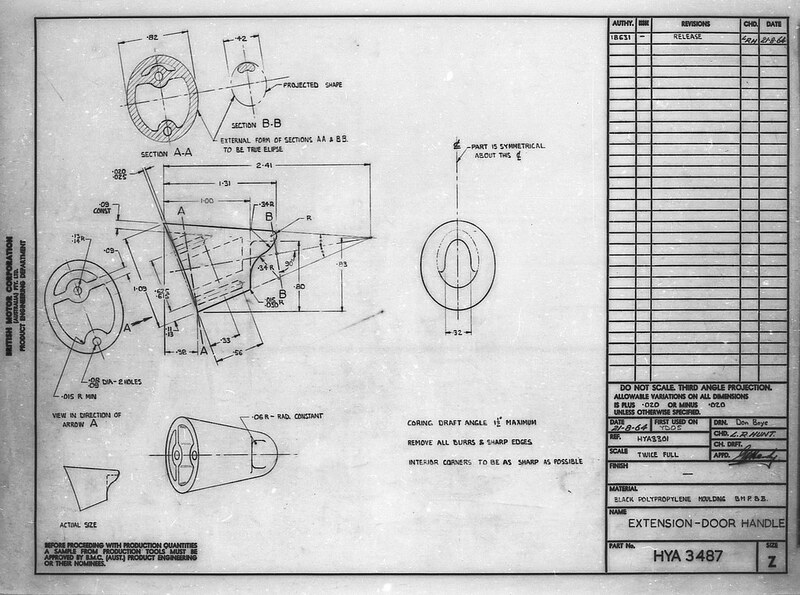 Pretty complex drawing for such a simple part. I gave Ryan a second hand door handle stopper at the car show in January.